Recently, we asked the Centre for Information Design Research (CIDR) at the University of Reading to review the GOV.UK Style Guide to ensure it meets the needs of users online. They’ve completed their review, and we asked them to write about how it worked. At CIDR, we extend the influence of design research into projects that make a difference to people’s lives. Examples of these kinds of projects include work with the National Offender Management Service to develop a structured communication tool for reducing conflict between staff and prisoners, and with the NHS to improve communication between carers of people with dementia and clinicians. We use research-based knowledge of how people seek out and respond to information, how they read on paper and on screen, and how text can be written and organised visually so that it helps them understand and use information effectively. Our work involves multi-disciplinary teams - much like GDS - typically bringing together insights from human-computer interaction, psychology, information science, linguistics and graphic design. We test different solutions to problems, often working in partnership with companies or organisations to help us get feedback from their members or users. At its best, UK government writing has set standards for style. That classic of style, ‘Plain words’, was first written in 1948 by Sir Ernest Gowers, a senior civil servant, to help other public servants express themselves clearly to fellow citizens. It was published as ABC of plain words in 1951 and then expanded to The complete plain words in 1954. Since then it has never been out of print. Common sense tells us that plain words are as important today as they were in the 1940s and 50s, and this approach has been promoted in the new GOV.UK content style guide. We reviewed research into what works stylistically – on paper and on the web – and came up with endorsements and recommendations for GDS based on academic or pragmatic research, including papers by Jan Spyridakis (download, PDF 863kB) and Ferris Jabr. The research suggested that a number of ‘text features’ should be built into writing for the web. Online reading patterns tend to be less linear and sequential than reading from paper. So writing for the web can be adjusted to support non-linear behaviour. Some adjustments are already common practice in highly navigable web sites but some are less intuitive for writers and designers. including motivation statements that encourage people to complete complex tasks when they are ‘reading to do’. One of the reasons that GOV.UK is such a successful web site is that it has been designed with the needs of its users in mind. It is straightforward and accessible; easy to navigate; the headings are clearly presented and the type is legible. Its design conveys authority, yet isn’t intimidating. Its writing style should have a consistent effect so that whatever part of government a reader may be dealing with, the information they see is clear and succinct. For GOV.UK writers, it is important to think about alternatives to continuous prose and to remember that many of their readers will be inexperienced web users and therefore likely to need encouragement. If time allows, it can be very helpful to ask a group of potential readers what they think about a draft text, especially when it involves instructions or procedures. 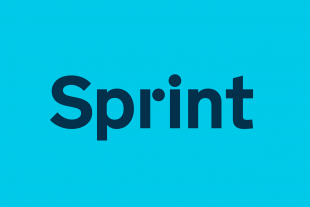 GOV.UK’s content principles ensure that the language used is accessible to as many people as possible, and that writing follows good practice for reading from screen. With so many contributors from different departments contributing content, all with different educational and training experiences that influence how they write, the guide resolves detailed issues of style. This enables writers to focus on producing content that is clear and understandable, and gives coherence across the organisation. 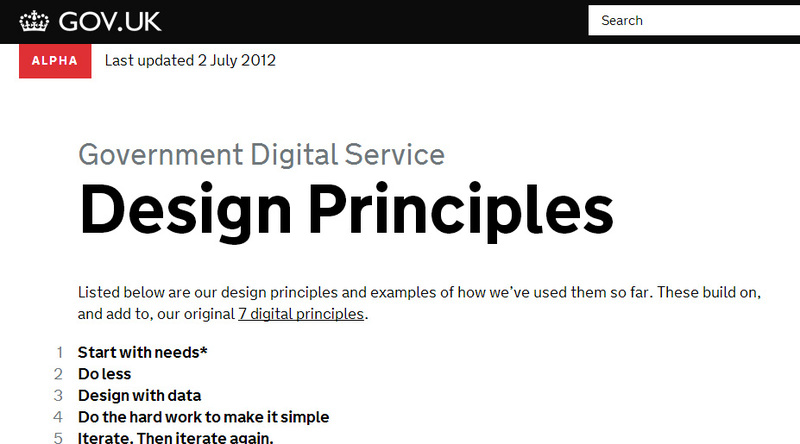 The standards that GDS has set out are, in the main, excellent. The philosophy outlined above is largely accurate and will hold true for 90% of governmental content. I am impressed that, at long last, government websites will have the best chance to succeed. But there is a weakness that has not been voiced, as far as I can ascertain. This is how you should treat content intended to persuade and engage readers. This needs a wholly different approach. Here you don't want readers to fly rapidly through material. You want them to become absorbed and involved in the topic. So a more verbose, conversational form of communication is needed. Bullets, subheads and links and other distractions have to be minimised or even excluded. You will also need graphic and audio elements to make the material more engaging and add impact. 'Long copy' was first espoused by advertising guru David Ogilvy in the 60s and 70s and advertising and marketing agencies know that this works just as well on the web. Maybe the government authors want to attract volunteers, perhaps persuade people to take on charitable work, maybe become foster parents, or consider becoming school governors - perhaps pay UK tax rather than studiously avoid it! In these straightened times, and not intending to make a political point, there is a greater dependence on Big Society principles. So even Gov.uk has to sell on occasion, sometimes selling services to make budgets go further. It will need to adapt its style guidelines to help its authors fairly compete in a commercial environment. There are also other copywriting techniques that can be introduced from the writers' armoury widely used by the financial services and other sectors. The only alternative to this alternative design approach would be to link to persuasive websites that follow these different design criteria. But that would run counter to the consolidation of websites principle.